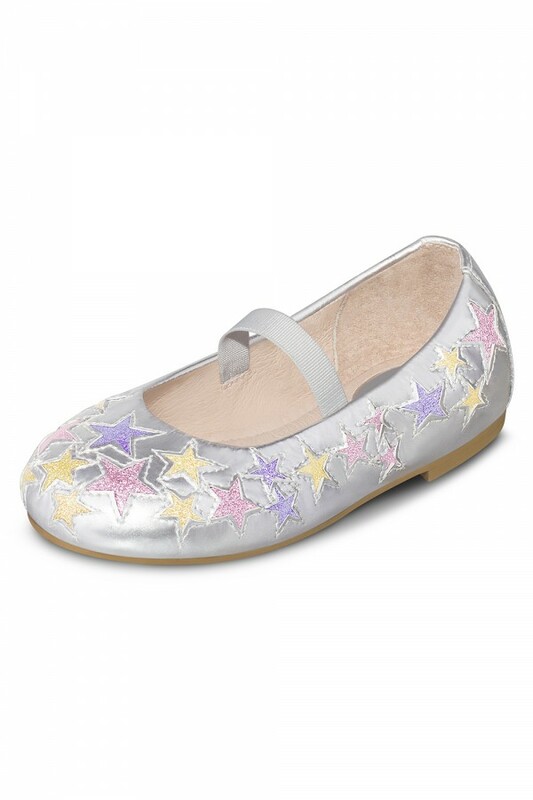 Adorable silver ballet flat covered in multicolored glitter stars is perfect for your toddler's everday wear. Crafted for comfort and style, these ballet flats for your toddler feature a soft leather lining and our iconic padded teardrop at the heel. A single elasticised strap across the foot holds the shoe firmly in place. Non-slip rubber outsole makes this shoe ideal for little ones learning to walk.